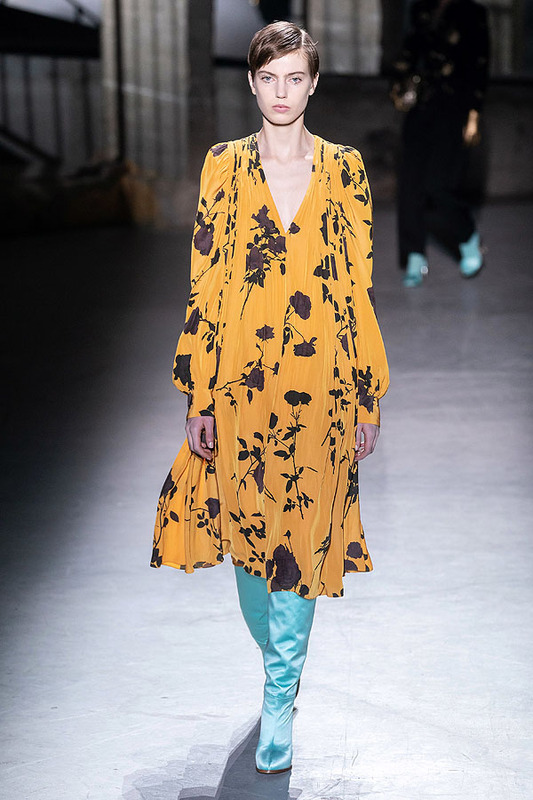 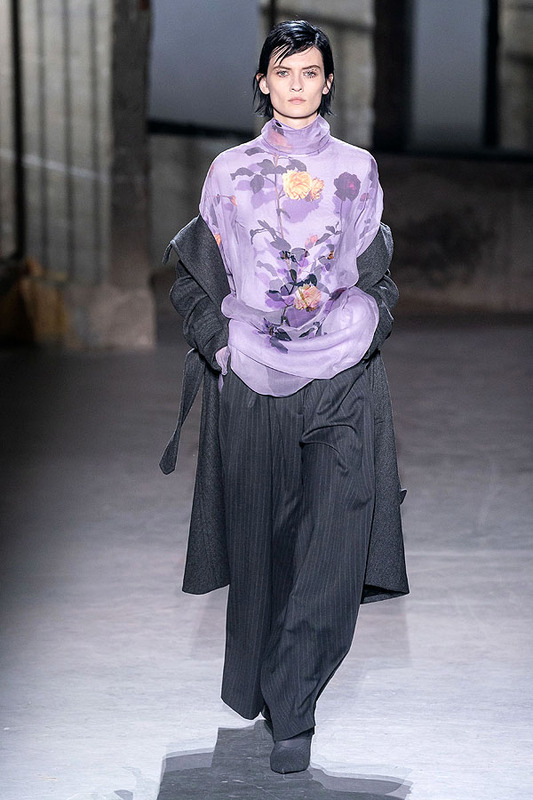 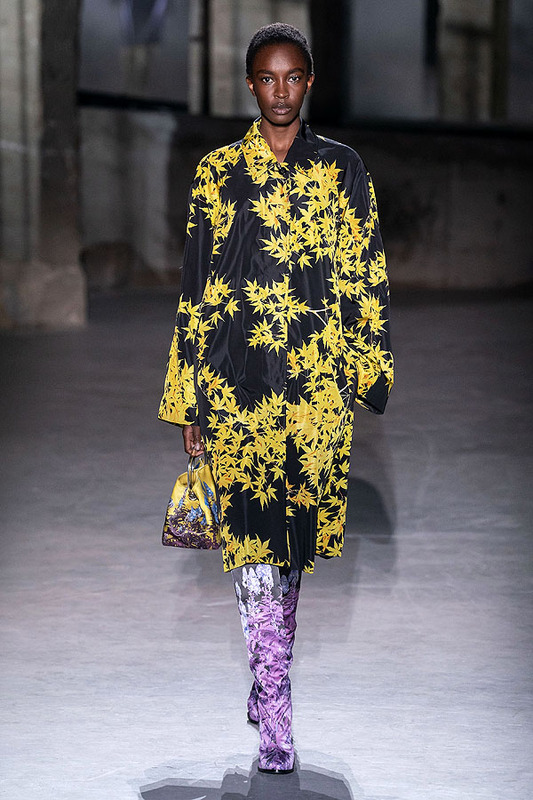 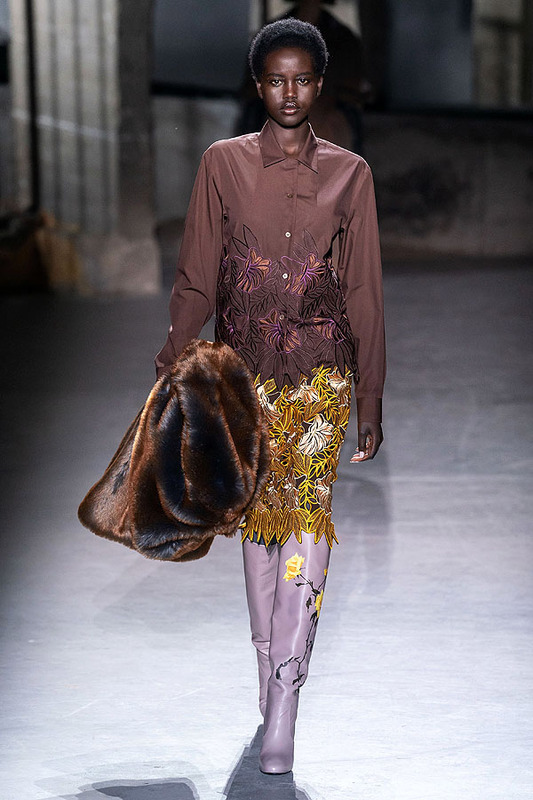 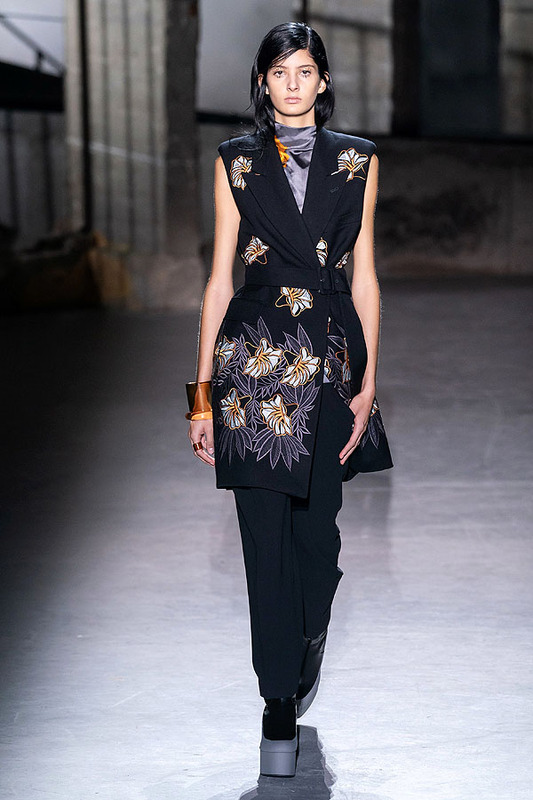 The first few exits at Dries Van Noten served as a continuation from his fall men's collection, which took place in Paris less than six weeks ago. 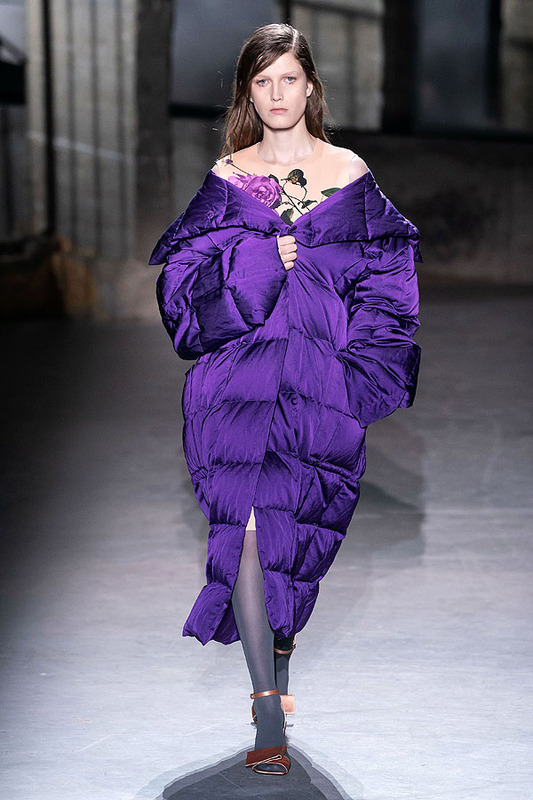 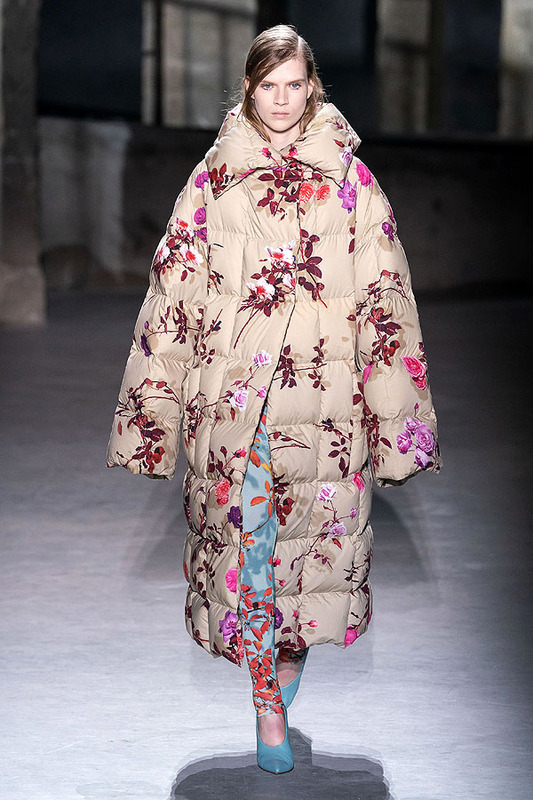 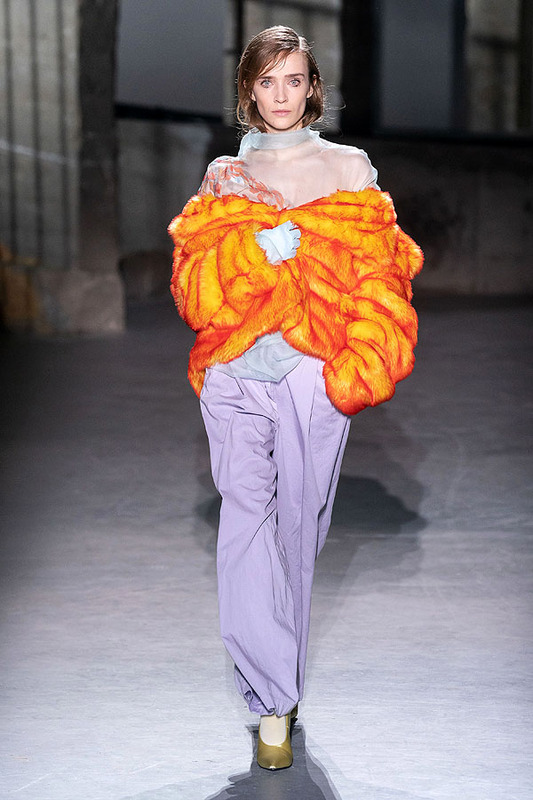 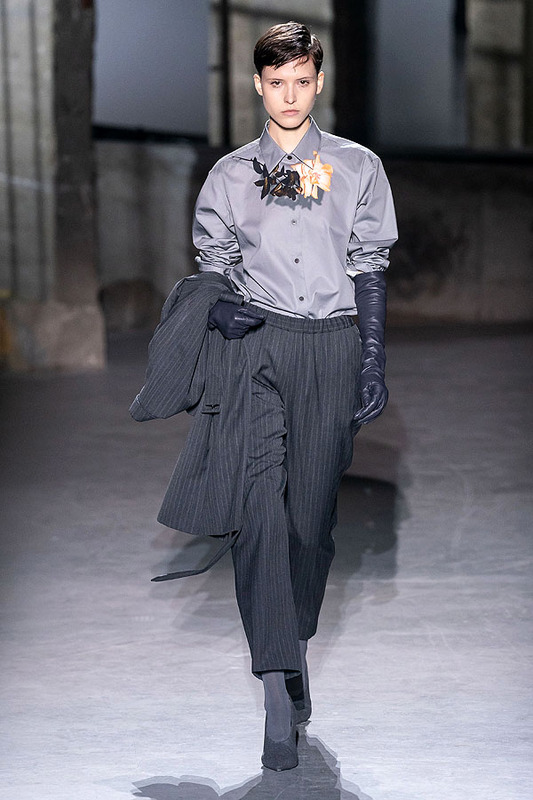 And, in fact, they included some of the same garments, in particular the grid puffer scarves and suiting — and why not? 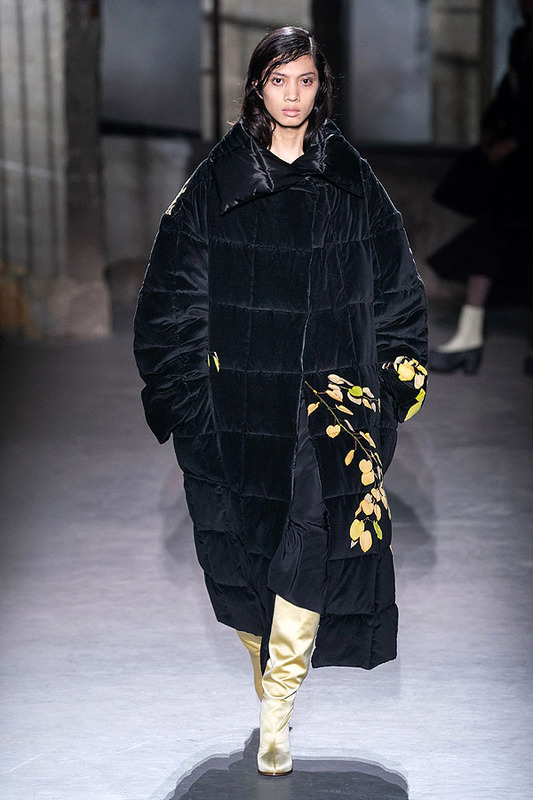 The system is moving so fast, and it is no secret that the Van Noten women’s customer is equally at home wearing his men’s as she is wearing his women’s (one need only look around the venue to see this), so it seemed fitting that the designer himself addressed this so directly, if indirectly. 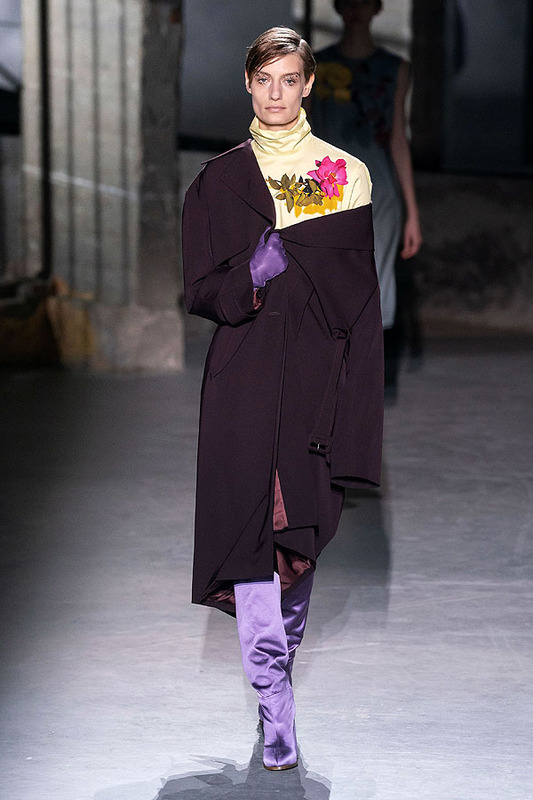 In typically prescient fashion, we felt the gender debate head-on, yet sideways. 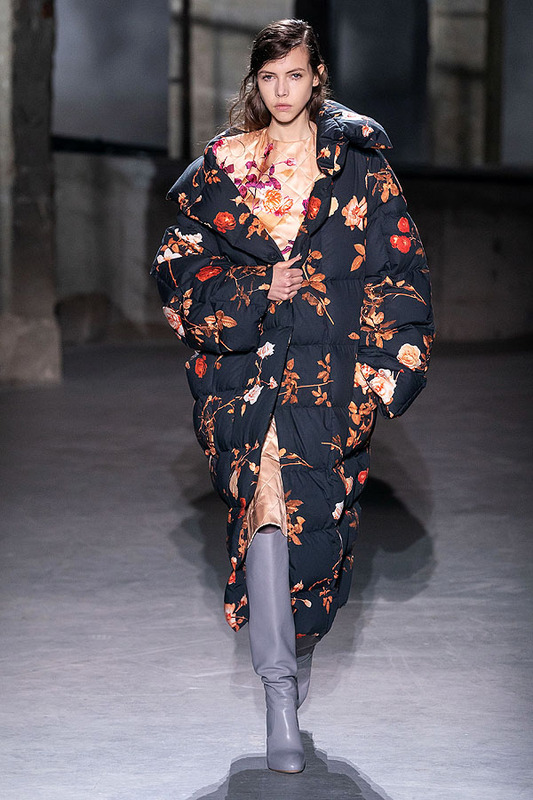 The show notes quoted that famous Gertrude Stein line: “Rose is a rose is a rose is a rose,” which she herself used in many of her poems. 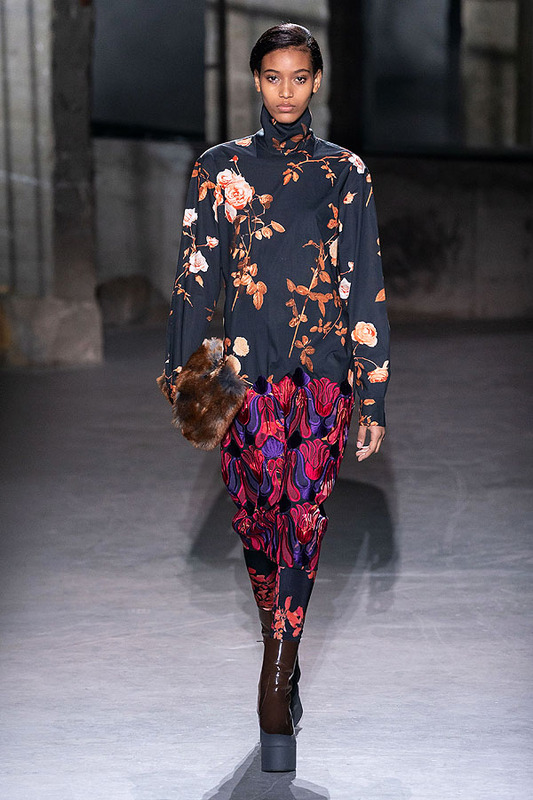 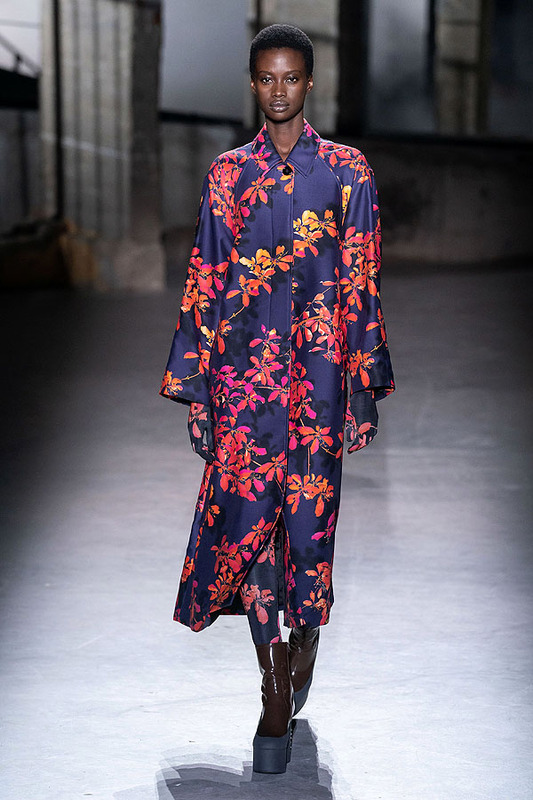 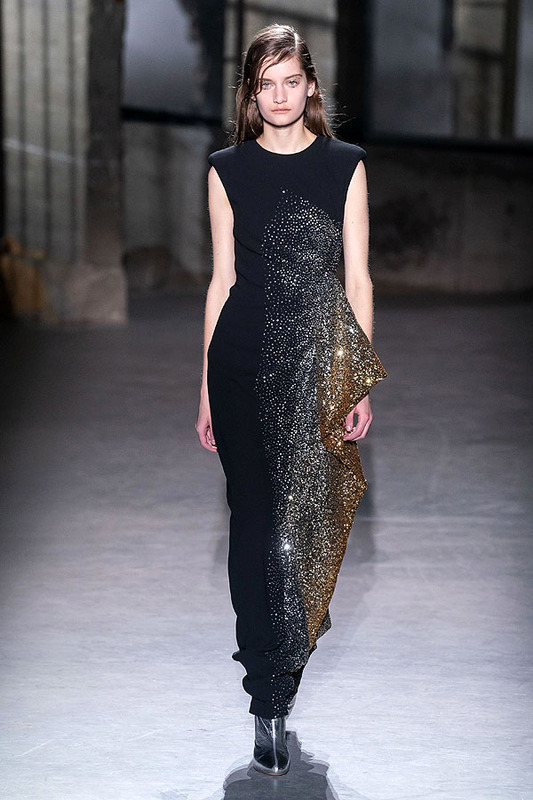 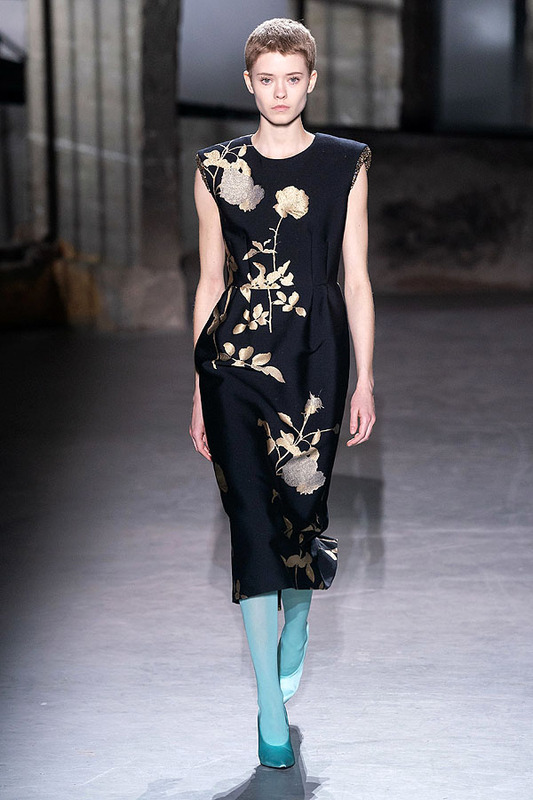 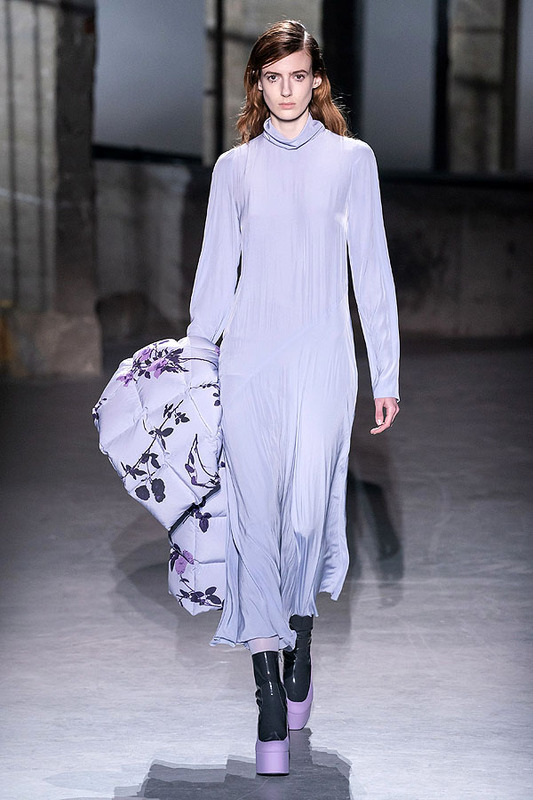 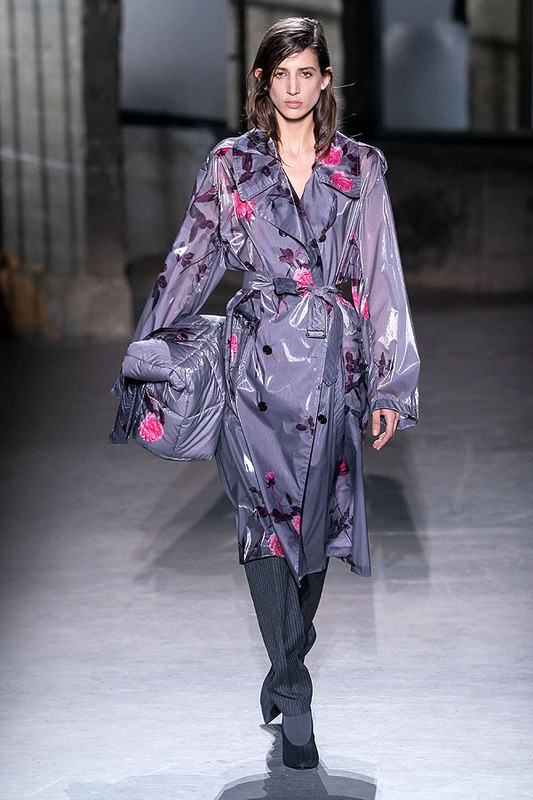 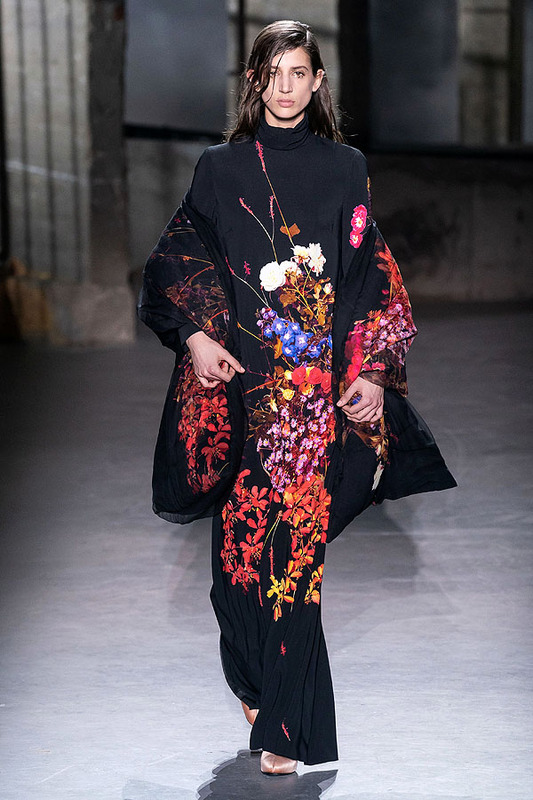 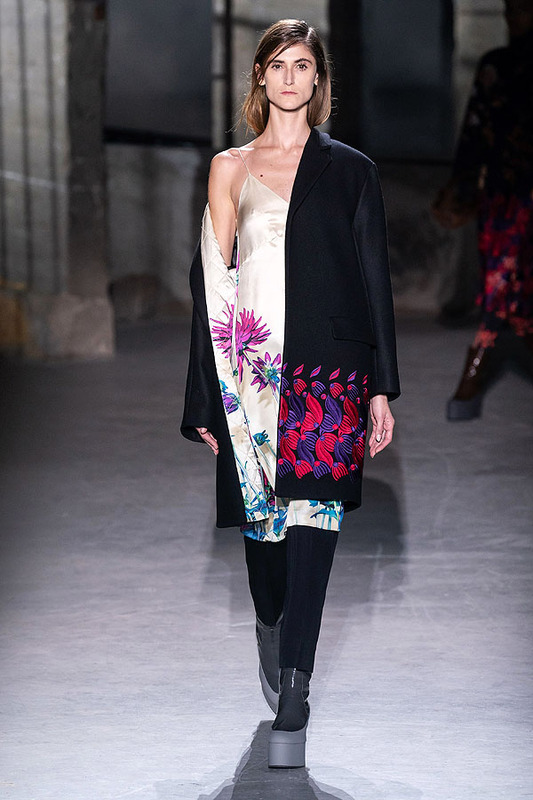 Stein also stated, “I think in that line the rose is red for the first time in English poetry for a hundred years.” It is this level of clarity, and simplicity, that Van Noten brought to the runway tonight. 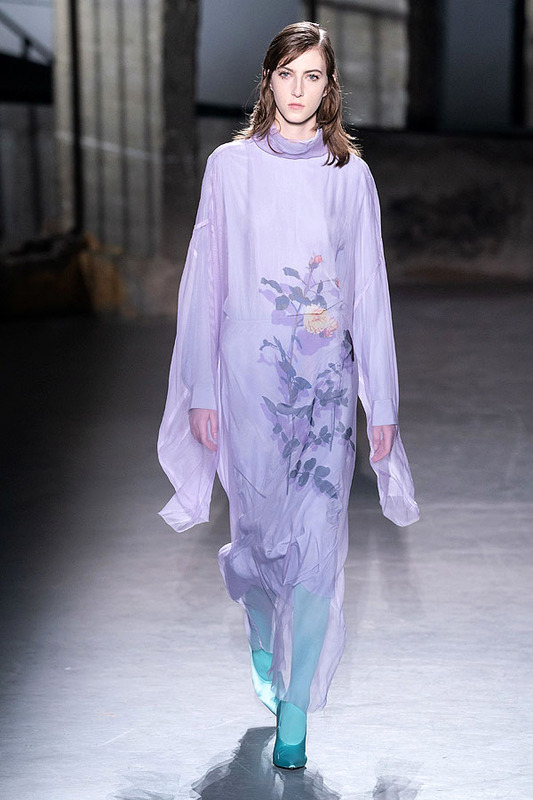 The prints were uniformly floral, though deceptively complicated, made using flowers from his own garden and photographed in situ, as well as cut and shot in studio but suspended on threads to show their shadows underneath. 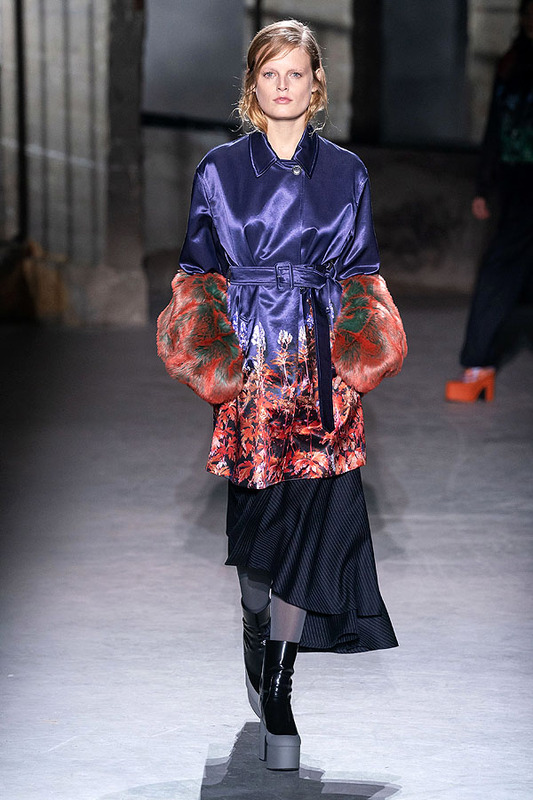 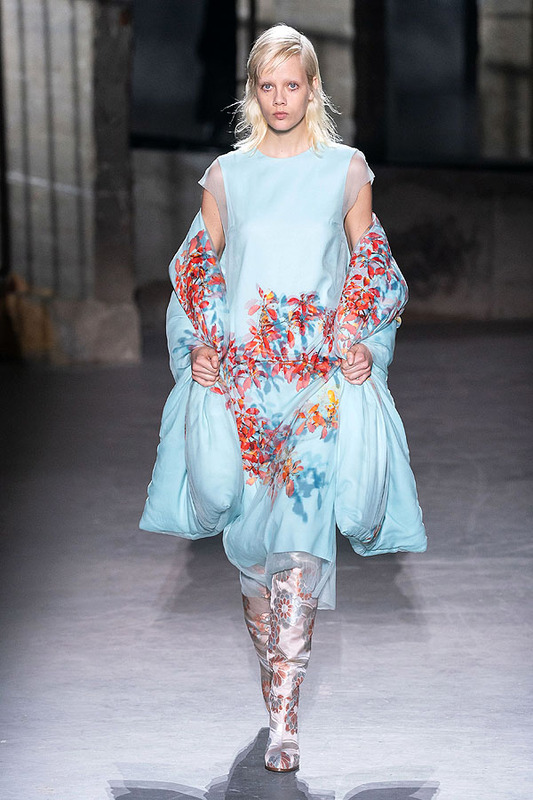 These personal touches, emphasized through complex pattern placement and masterful handling of color in the outfitting and garments, made for a deeply poetic collection. 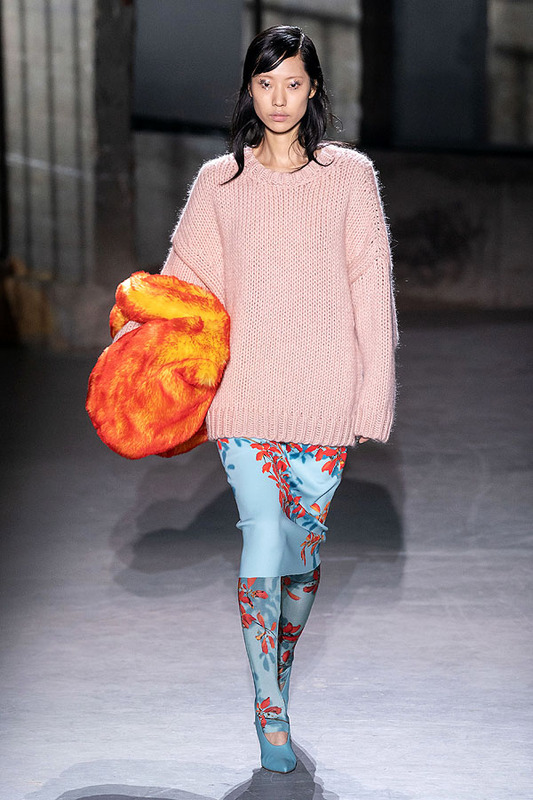 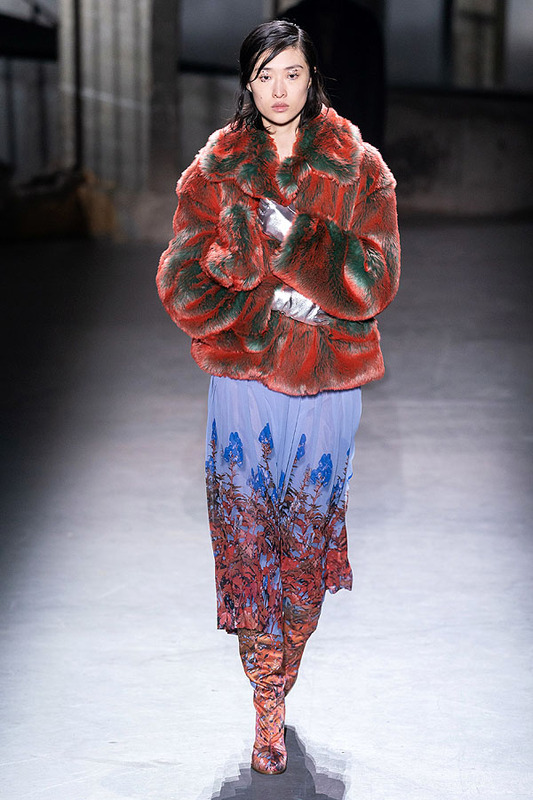 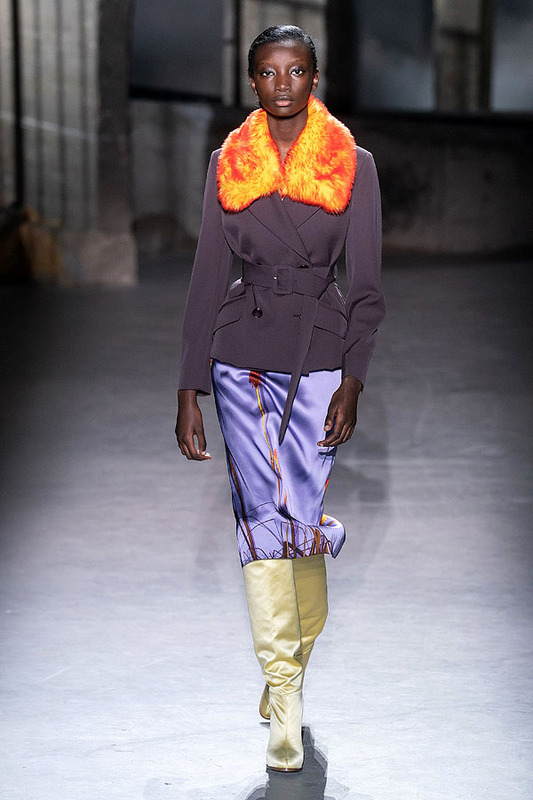 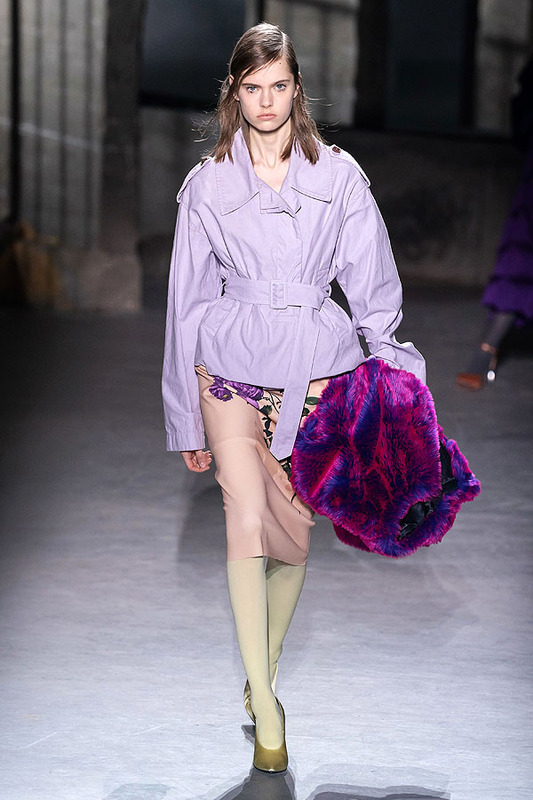 Particularly powerful was the use of fake fur, in varying color gradients reflected in the color blocking and floral cadences — a tour de force in color theory.